Today we bring you Driver Easy 5.5.5, a brand new version with more improved features and functions, awaiting for your exploration! 1. 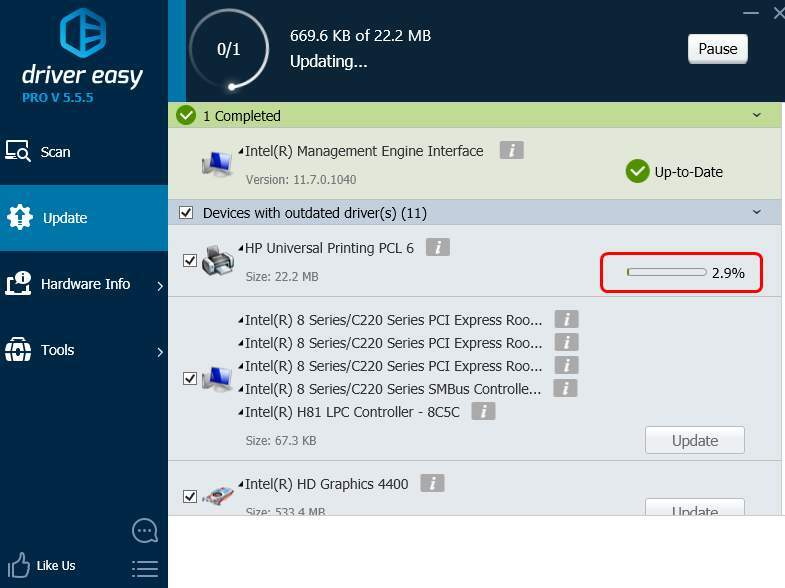 We improve our scan engine, so now Driver Easy can help you identify the correct driver for the same hardware even when it has different driver information. 2. We improve the Arabic and Dutch translation. We own this to our very warm-hearted users, who are encouraging us to become better and better. And improving our multi-language translation is one of the ways we walk towards better. A million thanks to all the kind-hearted people! As you can see, the category bars are now smaller, so you will be able to see the categories in a more compact way. 4. We also improve the stability of the download speed in the Free version. We’ve always wanted to provide the best service and product to our users, so we make the download speed more stable, just to make sure that our users can enjoy the benefits we provide. 5. The download process now shows 1 decimal place. So you will have a clearer view of how far you are at when you are downloading drivers, especially large drivers. 6. We also fix a crush bug when there is only one driver available in the Arabic version. In addition, we have also fixed many other minor bugs. In a word, all we do, we do it to provide you with better product and service. Can’t wait to try the latest version? Download it from here now!